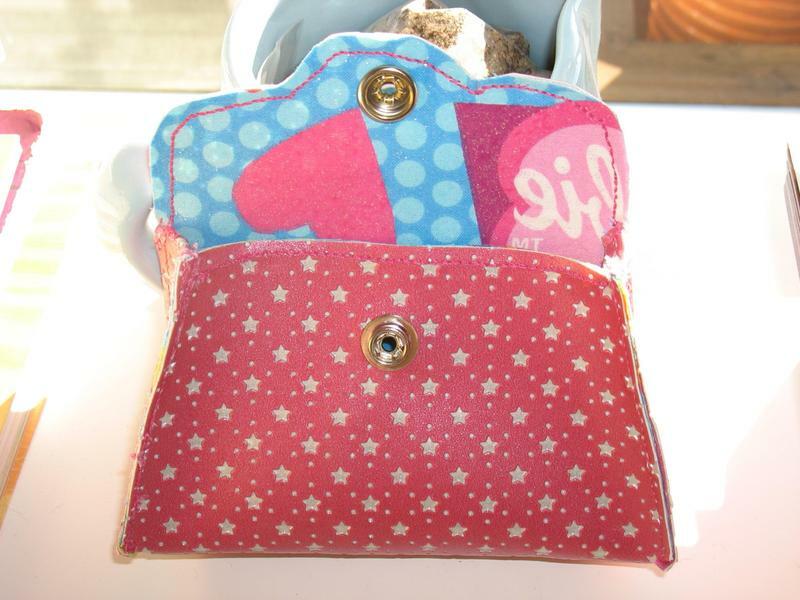 Played with a new pattern for a coin purse and lined it with some Barbie fabric scraps I had leftover from a cocktail napkin. I like this design but sewing it on vinyl was a pain! Definitely not my best work; I'm going to try it next on some cotton fabric stiffened up with interfacing, I think. I adapted a template for a purse envelope from Mirkwood Designs -- who have a bunch of fun (free!) patterns for paper boxes, cards, match boxes, etc.